Learning how to relax your mind is an essential life skill to have, especially in this day and age where stress is so abundant. Not only will this help to mentally rebalance you, but calming your mind will also give your brain a bit of a boost, resulting in higher creativity and productivity. Music can have quite the impact on your mind, with different genres of music having their own unique effects. For those who need to reduce stress, studies have found that instrumental music can be extremely effective at relaxing the mind, especially Native American, Celtic and Indian tunes. Light jazz and classical music can also have this same effect, as can sounds of nature, such as rain and thunder. If you need some help getting to sleep at night, try spending 45 minutes before bed in a relaxed, comfortable position, while listening to some calming music. Alternatively, if you need some help lifting your mood, go for something lively and upbeat, as this can really help you to feel more positive. Of course, singing along to music is also a great way to release tension while boosting your mood at the same time. Feeling anxious or worried can often lead to stress eating, which is the term used when someone eats to make themselves feel emotionally better, rather than eating because they are hungry. When this happens, the foods that are eaten are often high in salt, sugar and other unhealthy ingredients that only end up making the stress feel so much worse. If you have been looking into different ways to relax your mind for a while now, then you will likely have already stumbled upon the recommendation of meditation. So, have you given it a try yet? Meditation is something that so many people do not fully believe in, dismissing it as something that would never work. However, science has now backed up some of the many calming benefits that meditation can bring. To begin with, studies have found that meditation can reduce the symptoms of anxiety and depression in the same way that antidepressants can, and to the same extent as well. It can also trigger changes in the way in which the brain thinks about the self, which can really make such a difference to anxiety. If you are not feeling anxious, but simply have trouble controlling your distracted mind, then meditation can help with this too. Research has shown that meditation can decrease the activity in the part of the brain that is responsible for your wandering mind, keeping you focused on the task at hand. When your mind is racing with what seems like a million thoughts, writing it all down can really help. Firstly, the act of writing in itself is enough to engage the mind enough to slow it down a bit, while putting your thoughts down on paper helps to organize them, preventing everything from seeming so chaotic. Want to give this a try? Use a notebook if you prefer writing by hand, or create a special document on your computer if you prefer to type. Then, spend 15 minutes or so jotting down everything that happens to be in your mind. This does not need to be in any particular order, so long as you are able to get all of your thoughts down. Once you are done, put this aside for now. You can then return to it a bit later and really give everything your attention, once things are not so frenzied. You will likely find that writing it all down makes you feel so much more in control of things, and helps to ease some of the stress taking place in your mind. It has been proven countless times now that exercise is an extremely effective way to improve well-being, especially when done on a regular basis. Wondering how it does this? Firstly, exercise triggers changes in the brain’s neurotransmitters, the ones that are responsible for your mood. What makes this even better is that these changes are quite long-lasting, meaning that they will still be in effect hours after you are done exercising. For those who are feeling a bit down about things, a 2006 study found that exercise can actually have similar effects to antidepressants in the way that it promotes the growth of new neurons in the brain, therefore alleviating depression and anxiety. To make it even better, exercise that features repetitive motions, such as running, is actually classed as a meditative activity, and, for those who have a tough time calming their mind enough to fall asleep at night, exercise can help with this too, making it much easier to sleep each night. Another easy way to quickly calm your mind is to simply step outside and head somewhere where there is plenty of natural beauty. Plants and trees release special chemicals that help to slow down the rate at which they decay, and these same chemicals can help to slow your mind down as well. Studies have found that just a short walk in the woods, or anywhere else where there is plenty of nature, can significantly lower cortisol levels in the body, helping you to feel less anxious, while also boosting your memory at the same time. 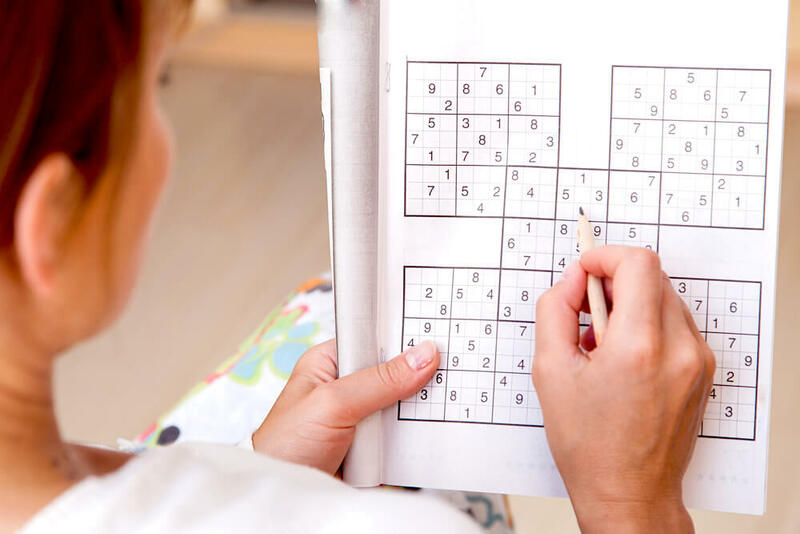 Playing certain types of games, such as puzzles, can really help some people to relax their mind and lower stress levels. Well, due to the hectic nature of modern day life, many people end up feeling bored when they try to relax, as they have become accustomed to always having a certain level of stimuli in their life. Puzzle-type games can help with this, as they do still provide a mental challenge, but not too much, meaning that they are able to still pull people into a state of mindfulness. Puzzle games also trigger the brain to produce more dopamine. This is a neurotransmitter that helps to improve the mood and balance out brain chemistry, keeping you in a state of relaxation. Wondering which games you should be playing? Sleep is essential for your well-being, and this not only refers to the number of hours that you sleep for, but also the quality of sleep that you generally have. Wondering how much sleep you need each night? Eight hours is what the average person needs, but many people do not end up getting this amount, often due to an over-active and stressed out mind. While it may often feel as though you are getting more things done by multi-tasking, this may sometimes not be the case. By having so many different distractions, your mind will end up scattered, and you will actually not be very productive in the end. One key to keeping your mind relaxed, calm and focussed is to only concentrate on a single task at a time. Do you find it difficult to do this? Try making a list at the beginning of each day, writing down all of the tasks that you need to accomplish that day. Then, prioritize the tasks, and tackle them one by one, starting with the most important and working your way down. In addition to only working on one task at a time, you should also try to stop multi-tasking in other ways. For example, you are likely to be regularly checking your phone, or your emails, while you are doing something else. Try to put a stop to this, so that you really are completely present in the task that you are currently doing. While having some clutter in your home or at work may not seem like that big of a deal, research has shown that clutter can actually have quite the impact on the way in which your brain processes information. In the same way that multi-tasking can impair your ability to properly concentrate, having too much clutter will end up overloading your senses, leaving you feeling overwhelmed, anxious, and drained of mental energy. The brain actually finds organization much easier to deal with, meaning that when you enter a de-cluttered space, your brain will not have to work so hard, which will have you feeling far calmer. Begin with a small part of your home, even if this is just a single drawer in your dresser. Once you have organized a small part of your home, move on to the next, allocating yourself an area of your home to de-clutter each evening, or even each week. Before you know it, your home will be de-cluttered. You can then take this principle and apply it to other areas of your life that need de-cluttering, such as your office or your car. Social contact is such an important part of keeping the mind and spirit relaxed and happy, but, as a person becomes older and more stressed, this is an area of life that often ends up being neglected. If you know that you have been neglecting the social side of your life a bit lately, then this is something that needs to change. Try setting aside a chunk of time each week that you dedicate to spending with friends, even if this may just be a quick drink after work. When choosing an everyday wardrobe, practicality, comfort and style are all key issues, especially when it comes to footwear. Your feet are an important part of your mobility, and wearing an uncomfortable pair of shoes can really ruin your day, and in some cases, even lead to long term damage. But what should you be looking for in a shoe, and which styles and brands are recommended? Read on to find out. “The main things you want to look for in an everyday walking shoe are responsive cushioning, breathability and lightweight construction”, says Riley Jones, a writer specializing in sneakers and style. He goes on to recommend several brands of lightweight, supportive athletic sneakers. These include the SpeedForm Appollo model from Under Armour, one of the first ‘sock-like shoes’ that feature an anatomical outsole designed to cater to the movement and structure of your foot. Also making the cut is the Adidas Ultra Boost with its Boost cushioning and primeknit upper, and the Nike Flyknit Racer, one of the most lightweight sneakers around. If you’re looking for options outside of the athletic sneaker category, look at alternatives such as the Crocs Women’s Alice Mary Jean Flat which provides enhanced support and a non slip sole. They are good quality and odor resistant. If you are looking for a stylish sandal, try out the Ecco European Strap Dress Sandals. They have a thicker cushion sole that offers extra support and cushioning as well as being very lightweight. Those searching for everyday styles for men can look at the Ecco Men’s Chander Classic Sandal which features a criss-cross upper ankle strap for extra support and comfort. They also offer a cushioned sole with excellent durability. Men looking for a slightly dressier look might consider the Clarks Men’s Armada Spanish Loafer. The shoes are made of leather with a man-made sole, mesh linings and a removal footbed. They also offer shock absorbing support which provides traction and durability. At the same time, you should stay away from shoes where the heel is higher than the toe. While high heeled dress shoes are an obvious no-no, there are also athletic shoes which encourage the wearer to land on the heel of the shoe when walking and running. This alters the natural step and posture and can result in long term damage to joints in the feet, knees and hips. To this end, look at shoes like the New Balance Minimus. These offer a minimal cushion and support with no positive heel so the wearer gets the effects of being barefoot. A more everyday option might be Toms brand shoes. While not ideal for working out, the shoes also do not have a positive heel. They offer a minimal cushion while being stylish and comfortable. Also making the list Earth Runners. These shoes are made by hand according to your foot trace to get a perfect fit. They also offer a non-cushioned, minimal sole and added copper grounding elements. Resveralife Reports: Consumer Research a Threat to Retailers? We live in an age of instantaneous information, connection and satisfaction. We get what we want, when we want it. As consumers, it has always been important to be informed when it comes to our purchases. We want to know what we are buying, what benefits the item or service might have, any disadvantages that the item may have and what performance we can expect from the thing we are spending our hard earned money on. Whether it is a silk camisole or a washing machine, we like to be savvy shoppers. But does our increased availability of information and our knowledge of products threaten retailers? Recently, Google partnered with Ipsos MediaCT and Sterling Brands to see what impact technology has on consumption and shopping habits. Included in this study was the question of whether or not consumer research is damaging to retailers. The common belief among brick and mortar retailers is that the primary reason we go into stores is simply to conduct a transaction. Retailers assume that we have already completed our research and as such, that we are fully informed about their product. They assume we are there only to pay for our items. However, the research suggests that the retailers who believe all we want is a sales transaction are doing damage to themselves. The data gathered by Google, Ipsos MediaCT and Sterling Brands, suggests that as consumers, we expect more than ever from our retailers. We still visit stores, and online shops, to compare and to stimulate interest in items. The research suggests that while we are more informed than ever, we still look to retailers to be an authority on their products and to provide use with a shopping experience. Google, Ipsos MediaCT and Sterling Brands found that just because we perform searches and gather information does not mean that we are turning our backs on retailers. We simply want more out of them. We visit our favorite stores not only because we like the merchandise that is sold there, but also because we enjoy and savor the shopping experience in these stores. Retailers would do well to take heed of this information. The majority of us visit stores to get an idea of what we want to buy prior to conducting research. Once we have seen the item, then we go into detective mode and try to learn as much as possible about what we intend to buy. Our research doesn’t necessarily hurt retailers, though it does affect what we want from them. Because we can pull together so much information on a product, we expect our retailers to be able to still tell us more. Why buy something when the retailer seems less knowledgeable about the product than we are? We expect retailers to be experts in their products and services. We also anticipate that retailers will provide us with a personalized shopping experience. Being an informed consumer is important, and some of the burden certainly does rest on us. However, retailers also need to remember that customers want more than just information and details on products. We want to feel valued and important. When it comes to shopping we want more than product specifications, we want to have an enitre experience when it comes to shopping. We have all heard of people indulging in a little “retail therapy.” This common maxim is used to describe shopping as a means of increasing our current moods or ridding ourselves of some stress. As it turns out, the idea of shopping being related to our psychology and self-esteem is not quite as far-fetched as we may have originally thought. As a culture we practice what is known sociologically as conspicuous consumption. Essentially, conspicuous consumption is spending money on goods that are intended to demonstrate our social status. Often, conspicuous consumption refers to the purchase of expensive or luxury items, which are recognized as prestigious status symbols. Studies conducted recently indicate that “retail therapy” is not just a term thrown around when we want to feel better about ourselves by buying. In fact, it seems that our spending habits, particularly of luxury items, are directly related to our self-esteem. Researchers Niro Sivanathan, assistant professor at the London Business School, and Nathan Pettit, of Cornell University, conducted clinical studies in a lab that were intended to delve into the psyche of what our spending really says about our self-esteem. The results of these studies confirm that we are far more inclined to spend, especially on higher priced items, when we are experiencing periods of low-self-esteem. Why are we buying particularly when we are feeling down? One of the reasons indicated by the studies suggests that we buy in order to create an impressive exterior sense that we are well off. The second reason truly is retail therapy: we shop when we want to soothe internal pain regarding how we perceive ourselves. Quite simply, psychological forces impact our decision to shop. We all face a great number of challenges daily, and the blows to our egos can be tough to take. It is in these moments that, according to researchers Sivanathan and Pettit, we desire to increase our conspicuous consumption. Additionally, it is interesting to note that the research conducted also indicated that not only do we spend more, but we do so paying mostly with credit cards when our self-esteem is low. The general hypothesis is that using credit cards as a means to purchase high-end goods helps us decrease any guilt we associate with spending large amounts of money. When we say we are indulging in retail therapy, it really is a truth. Our self-esteem and attitudes towards ourselves influence our shopping habits. We turn to shopping as a means to alleviate stress and as an attempt to improve our perceptions of who we are. Self-esteem can of course be improved by means other than shopping, and it is advisable to learn other habits of coping with stress and low self-esteem. While shopping definitely does bolster our self-esteem, in the long-run it is not a permanent fix. Grabbing some friends and heading to the mall for a day of retail therapy is totally fine. However, it is important to remember that material possessions do not define who we are as people. Authentic Chianti wine is wine that has been produced in the Chianti region of Tuscany, Italy. Chianti wine has a rich and interesting history that dates back to as early as the thirteenth century. The first reference to the Chianti region of wine dates back to 1716 and referred to the area around the villages of Gaiole, Castellina and Radda. Most people associate Chianti wine as a red, though it was not always so. Some of the initial mentions of Chianti wine, in 1398, reported that Chianti was a locally produced white wine. In the 1970s, the percentage of white grapes used in the production of Chianti wine dropped significantly. Currently, there are seven Chianti zones: Chianti Classico, Chianti Montalbano, Chianti Collo Fiorentini, Chianti Rufini, Colli Sensei, Colli Pisne and Colli Aretini. Chianti wine has flavors and notes of cherry, strawberry, plum, almonds, vanilla, spice, tobacco and coffee. Made from primarily Sangiovese grapes, Chianti wine is a decadent delight. The benefits of Chianti do not stop with it’s taste. Keep reading to learn some of the interesting health and beauty benefits of Chianti wine. Red wines, such as Chianti, contain polyphenol. Polyphenol helps to strengthen your gums and teeth as you sip your glass of wine. Additionally, reservatrol is an ingredient found in red wine that is currently being studied for it’s long-term health benefits. Reservatrol is thought to reduce cancer growth and to aid the body by stimulating the release of insulin. Red wines such as Chianti contain a number of ingredients that have skincare benefits. The reservatrol found in Chianti wine helps slow the growth of bacteria. Alpha hydroxy acids are also found in red wines, like Chianti, and these are very beneficial to your skin. AHAs are both a natural antiseptic and and anti-inflammatory. Some enthusiasts of Chianti and red wine suggest applying a bit to the face as a mask to help fight acne, clean out pores and help prevent future breakouts. Antioxidants in red wines, such as flavanoids and tannins, fight free radicals in the atmosphere. These antioxidants help stimulate the production of collagen, which gives a boost to sagging skin as it smooths out fine lines. Also found in red wines are an abundance of amino acids. Amino acids benefit your skin by forming a barrier to the skin that helps to reduce the damage done to your skin by harmful UV rays. Once again reservatrol is responsible for a health and beauty benefit of Chianti wine, this time it it is your tresses that reap the rewards. Reservatrol fights inflammation and cell death, which means that hair loss is reduced. Drinking Chitanti wine stimulates circulation, which strengthens the blood vessels of the scalp and reduces dandruff and flakiness of the scalp. Chianti is a complex, luxurious tasting wine hailing from the Chianti region Italy. Consumed in moderation, it produces a number of health and beauty benefits that range from slowing the growth of cancer cells to keeping your hair on your head. Most experts agree that ½ to 1 glass of red wine daily is sufficient to provide health benefits without being damaging to your body. Throughout time, diet has been an important role in terms of development and growth. Now more than ever, it is essential to choose and opt for healthy meals and meal ingredients as most of the pre-packaged and pre-made foods that are readily available in supermarkets worldwide have become laden with chemicals and unhealthy, toxic ingredients. Resveralife would like to help our male readers understand how they can make better, healthier food choices, and feel their best by doing so. With these easy to do tips, the hardest part will be developing the willpower to make these changes – for life. 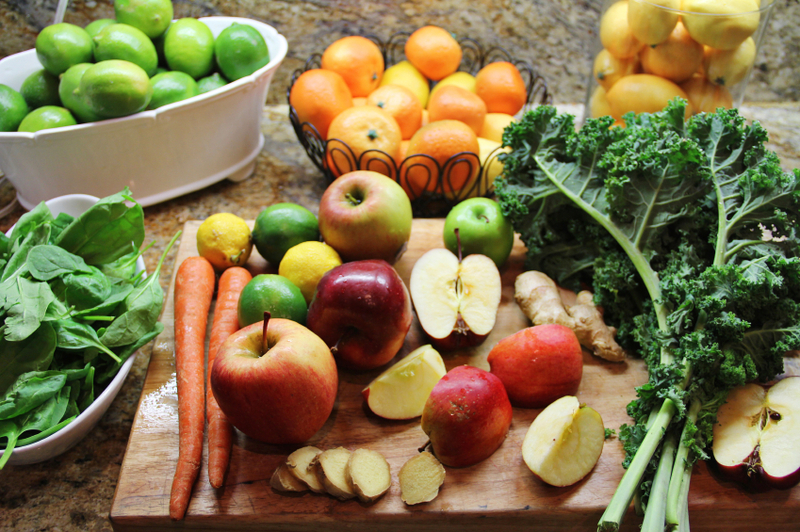 Choosing fresh, raw ingredients when you are at the grocery store is the best thing you can do for your body. As a general rule, sticking to the aisles on the outer edges of the grocery store is your best bet. If you think about it, all you really need and all you should be eating is located along the outer walls of the store. Produce, dairy, and meats line these walls, and should be eaten more than anything else in your diet. Diets rich in fresh, lean proteins, such as lean turkey breast, chicken breast, fish, and raw vegetables and fruits will help you to feel fuller longer, become healthier, and even lose weight – guaranteed. Proteins also play a large role in the development of muscle mass when working out – so be sure to get plenty of it on a daily basis. Refined sugars can be found in those cakes you love so much, and many versions of breads and other carbohydrate laden foods. Rather than toss extra salt over your meal, try to do without it. If you use a small amount of salt to cook your food, that’s fine – but keep it to a minimum. By doing this, you may be able to lower your risk of heart disease, Type 2 Diabetes, and other health concerns. 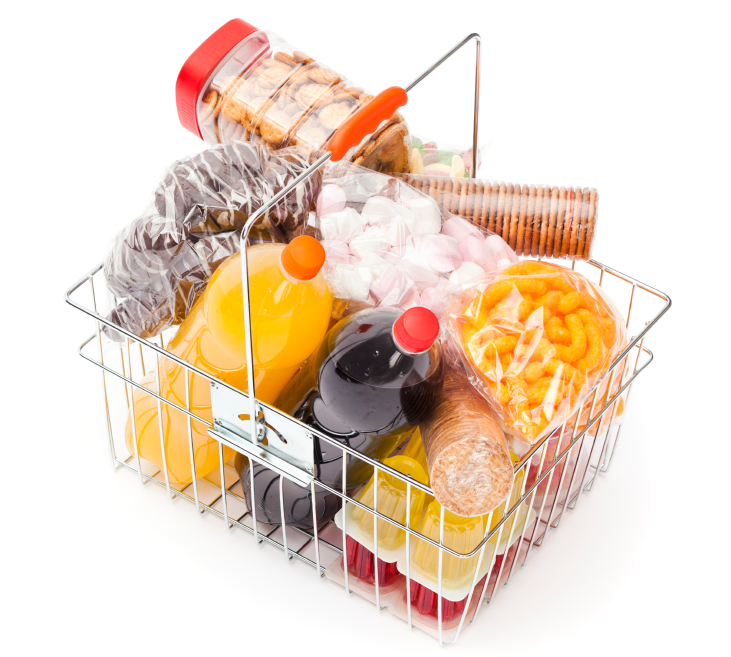 Refined sugars also lead to excess weight gain – and it can be difficult to lose the pounds accumulated. You will feel far less bloated when you eliminate unnecessary salt and sugar from your diet. You should do your best to try to eat natural sources of these compounds, such as fruit (fruit pectin within the fruit is a natural sugar) and olives or certain types of fish, such as Cod, which are salty by nature. Eating organic fruits and vegetables is always a safe bet. Not only will you eliminate excess toxins from your system this way, you will have more control over the food you eat and will enable yourself to gain the true health benefits of the fruits and vegetables you consume. Produce which is grown in an organically friendly environment are generally better in quality and taste, therefore you would be doing your body and your taste buds a favor. Always opt for organic when possible. This is a no brainer. Junk food packs on unnecessary pounds. To lose the pounds and keep them off, eliminate junk food such as chips, cookies, cakes, and candy from your diet as much as possible. Once in a great while, a small portion of one of these foods are fine – but not unless it’s a rare occasion. You will be amazed how great your body feels once it rids itself of the toxins these terrible foods have left behind. Eating after 7 PM is discouraged by many doctors, because as the night winds down, and you lay down to go to bed, the food you consume at night is left to sit. Your metabolism slows down at night, and all but comes to a screeching halt as you sleep. Do you really want to wake up with yesterday’s dinner still sitting where it was when you went to bed? We didn’t think so. Opt for eating earlier in the evening if possible, and allow your stomach at least four hours for the food to break down before bed. By following the above guidelines, you can’t go wrong. Resveratrol wants to see every man live his healthiest and his best this year, and making small changes will add up quickly. Here’s to a healthier, happier you! Be honest. Have all of your wonderful New Year’s resolutions already flown out the window? If you have fallen off the wagon, please don’t give up. A few bad days – or weeks – should not deter you from working toward your goals this year. Everyone slips up from time to time, and that is perfectly normal. Before you throw in the towel on your big plans for the year, try a few of the following tips to help get you back on the right track. Where do you keep your goals? If the answer is “in my head”, then we have a problem. Studies show that people who write down their goals are far more likely to actually accomplish them. Many people write their goals down once per year, and that’s good. What’s better is writing your goals once per week. This will keep your target right at the front of your mind. Most people can’t remember what they ate for breakfast last week, so why would they remember a goal they thought up 6 months ago? Even better, keep your goals on your smartphone and set an alarm to look at them every day. Keep the ideas fresh in your mind so you are constantly reminded of what you’re working towards. One problem many people face is setting too many resolutions. Someone with fifty items on their goals list is probably not going to accomplish any of them. Ambition is great, but specificity is key. You should have 8-10 measurable goals at any given time. “I want to lose weight” is an idea, not a resolution. “I will lose 20 lbs. by my birthday in September” is a goal. If you can’t think of at least eight things that you want for yourself this year, think bigger! If you want to have a great year, you actually have to do things! When choosing your goals for the year, keep in mind that you need to have balance in your life. Making all ten of your goals career-related is admirable, but would achieving those things really be worth it if it meant sacrificing an improved social life, relationships, spirituality, or fitness? Your list should have variety, but be manageable enough that you know you can actually complete it. Now that you’ve chosen your goals and have a clear idea of what you want out of the next year, it’s time to take action. This is the part where so many people fall down. What you want to do is start deconstructing the goals. Create a separate brainstorming list for each goal and write down every single thing you will need to do to make this resolution happen. Keep breaking down the goal into smaller and smaller pieces until you can’t think of anything else to put on the list. When you’re done, you have your plan. You are going to do a few of these things every day to get you closer to achieving your goal. Don’t do this process for all of the goals at once, or else you may get overwhelmed. Choose two of the biggest, scariest goals first and tackle them. Once you’ve started building momentum, you can start working on the others as well. Imagine the amazing feeling of accomplishment you’ll have when you’ve crossed the final goal off of your list! Vision, clarity, and action are the ingredients of goal on its way to being fulfilled. If you follow these steps, you’ll never dread setting a New Year’s resolution ever again. Getting that pre-holiday body back is something that is on most people’s agendas in the first month of the new year. This is the month that most people tend to make resolutions and promises to themselves and their loved ones that they will once again get in shape, get healthy, eat right and develop healthier habits. Getting in shape is sometimes easy for some, and more difficult for others. Here are a few fool proof ways to kick start yourself into gear in 2015 and lose that unwanted weight and those unwanted inches, guaranteed. Drinking more water rather than opting for soda or sugary sports drinks can really make a huge difference in your overall health, and will certainly make an impact on weight loss. 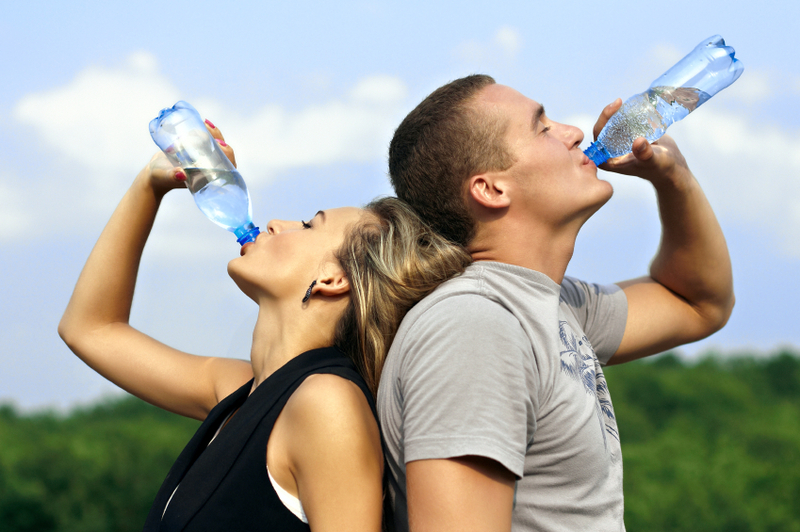 Reaching for water over other beverages gives your body the chance to rehydrate, eliminate waste and toxins which could be causing bloating and excess weight retention, and also kickstart your metabolism into gear. Not many people who are just beginning to work out will look forward to a full blown cardio workout, but it’s exceptionally important to get yourself into ultimate shape. It helps to speed oxygen through the blood, which improves circulation, skin cell rejuvenation, mental health, and even metabolism. Cardio also allows you to lose more weight than any other form of exercise. Doing 30-40 minutes of high impact cardio three times per week will allow you to lose weight quickly – the healthy way. Don’t be surprised if you see inches lost from your waist, as well! Refined carbohydrates will undoubtedly turn into sugar, which will also add weight gain and cause you to become tired and lazy. Doing away with all refined sugars, carbs, and excess salt will allow your body the opportunity to get out of a bloated zone, and back into a somewhat normal place, where it can begin actually burning the calories you eat rather than storing them. Do your best to stay away from pasta, bread, pies, cakes, cookies, and all things laden with sugar. On the same note, do your best to stay away from salty chips, snacks, and adding additional salt to your food. We consume plenty of salt with the foods we eat on a daily basis. Adding additional salt will only cause weight gain, bloat and potential health problems, such as high blood pressure, heart disease and diabetes. Fast food has been known to pack more weight on an individual than any other food in existence. These types of foods are the furthest thing from healthy, and it would be better to go hungry than to indulge yourself in a fatty, salt laden, greasy cheeseburger from your local McDonalds. These foods contain high salt content, high fat content, and are the lowest grade meat products available. Note, we said meat products and not meats due to all of the additives they put in their foods. We won’t go into what else has been found in fast food items, but we will say this: do yourself a favor, and steer clear of the monster that is fast food. Eating more healthful foods such as raw vegetables, fruits, and more lean meats will provide your body with the healthy nutrition it needs to function properly and naturally, as was intended for us from the beginning. No man or woman was ever created to tolerate processed foods. By incorporating more of these healthy options into your daily diet, you are increasing your fiber intake, meeting your dietary guidelines for each individual day, and are warding off heart disease, diabetes, and high cholesterol to the best of your natural ability through diet. That’s powerful! Aside from that, you are also giving yourself a natural energy boost throughout the day with natural, healthy foods. We have a challenge for you. Go through your pantry, and freezer, and refrigerator, and throw every single thing away that contains processed meat, cheese, excess salt, and sugar. See what you have left. It just might be time to go shopping! By eliminating these foods from your house, you avoid temptation. And when the temptation arises, and you want something sweet, opt for something healthy – like a fruit smoothie, which has all the sweetness you could want, or if you want something salty, have a slice of low fat cheese or vegetables with some low fat or fat free ranch, which has a salty kick to it. There are always ways to meet your palate’s needs – the healthy way. Red wine has been proven time and time again to have many wonderful health benefits. From possible cancer prevention, to keeping you free of illness, and more, there are so many different reasons women and men alike can enjoy a glass of red wine and reap the amazing health benefits of this fantastic indulgence. Resveralife is here to clue you in on how this amazing drink can benefit your health and body – in more ways than one. Red wine has been shown to prevent certain forms of cancer in studies. Cancers such as breast cancer, lung cancer, and bladder cancer have been said to be warded off by the consumption of red wine on a regular basis. This is possibly due to the fact that red wine contains high levels of phytochemicals, which act as anti-oxidants, and provide the body a boost in the immune system, therefore destroying cancerous cells before they have the chance to begin. Red wine has been found to contain high levels of Resveratrol, which you all know we here at Resveralife are obsessed with. Resveratrol is capable of turning back the clock, so to speak, on aging, wrinkles, and fine lines. Infused in many skin care products – such as those by Vine Vera – it has the capability to diminish lines and wrinkles, leaving behind smooth, beautiful, youthful skin. Drinking red wine will also provide you with the benefits of resveratrol. Also due to the phytochemical components found within red wine, illness such as the common cold or flu is able to be prevented or even shortened due to the antioxidant properties these phytochemicals contain and produce. Many people in various countries swear by this method for alleviating cold symptoms, as well as preventing the flu, by drinking 1-2 glasses of red wine per day. Contained in the skin of grapes used for wine making is a component known as melatonin. This particular ingredient is actually produced naturally by the human body, and acts as a hormone to induce feeling tired or needing sleep. Some people produce lower levels of melatonin than others, and therefore could benefit from drinking a glass of red wine an hour or two before bed. This can curb the need to take melatonin supplements and is an enjoyable way to relax and spend your evening. Drinking a glass of red wine has been shown in various studies to improve the heart and circulatory system. Red wine relaxes the circulatory system, allowing blood flow to move and pass through arteries and veins more easily. It’s also capable of slowing a rapid heart rate, providing a more consistent heart beat and rhythm. This only works if 1-2 glasses of wine are consumed. If any wine after that is consumed, the effects have not been proven to be the same, and could actually work against the heart and circulatory system. Red wine has long been consumed all over the world since many centuries ago. It seems as though the human race had it right from the start. Consuming red wine in moderation will allow you extended health benefits that you just can’t get anywhere else. Moderation is key. So, feel free to enjoy a delicious glass or two of your favorite red wine with dinner, or after dinner for relaxation. It’s more than okay to indulge yourself just a bit every day. Not overdoing is definitely key. Vine Vera Resveralife wishes you all great health, longevity, and many glasses of red wine for years to come. It’s a big night in your household: you decided to invite your boss and her husband to dinner, and you’ve got the perfect meal and dessert – but then it hits you…you have no idea how to pair a good wine with the meal you’ve prepared. Not to worry – it’s not as difficult as you might think. All it takes is a good palate for tasting flavors and the understanding of how to pair flavors with those which contract. Resveralife would like to offer you some insight as to how you can become an expert on pairing the perfect wine with your meal – and it won’t be too time consuming or strenuous to understand. We promise. The first thing you need to learn when it comes to pairing Cabernet with your meal is how to compare and contrast flavors. If you are making a salty dish, you don’t want to have a wine with salty tones because it will cancel out the flavors within the food. Instead, opt for something with more of a sweet undertone, or with fruity notes. Taking the flavors of the dish into account and finding a wine with opposite notes will always point you in the right direction when choosing a wine. This particular article focuses on how to pair Cabernet with meals. Cabernet is typically a full bodied, rich wine which, depending on the location where the wine was made, may have different flavors and notes from one place to another. Some will have smokey notes, while others have black fruit notes. To learn what locations produce which types of flavor, you can do some research of your own on the internet to always know what exactly you are going to get when you buy a bottle of wine. Cabernet wine is typically great to pair with most meat dishes, such as roast beef, prime rib, chicken dishes and turkey. It also pairs well with vegetable dishes and those with robust flavors, such as spaghetti. White wine is typically served with fish, or lighter dishes with less robust flavor. You can, on the other hand, serve Cabernet with foods with minimal flavor to accentuate the meal and set it off. It goes great with salad as well. Sweet red wines are typically referred to as a dessert wine, and most people save them for just that – unless they prefer the taste of sweet wine with their meal. A sweet wine compliments a salty dish very well. When it comes to choosing which brand of wine you are going to purchase, and you are new to buying wine, trial and error is the best way to go. Buy a few different types at once to experiment with, and see what your favorites are, and what the favorites of others in your household are. Having a few options available to offer those who are guests in your home will allow them to pick and choose their favorite as well. Once you begin dissecting the flavors and notes within each wine, it will become easier for you to know what to pair with each meal you make. Resveralife hopes this guide will help you along the road to wine pairing success.